Celebrate 15 years of the Dot and 10 years of International Dot Day on 15th -ish September! 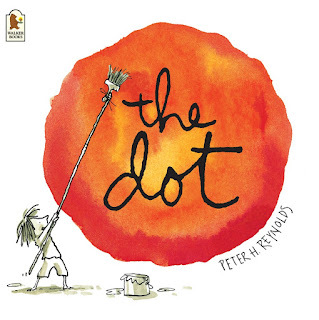 It all started TEN years ago, when a teacher and his students in Iowa celebrated the themes of creativity and courage in Peter H. Reynolds’ The Dot on the anniversary of the original publication. In this inspiring, award-winning story of self-expression and creativity, Vashti thinks she can’t draw. But her teacher is sure that she can. She knows that there’s creative spirit in everyone and encourages Vashti to trust in her own abilities by being brave enough to “make her mark”. What begins with a small dot on a piece of paper becomes a breakthrough in confidence and courage which has gone on to inspire countless children and adults around the globe. Now, every 15th-ish September, more than 10 million teachers, librarians and children in 170 countries participate in International Dot Day getting busy with writing, drawing, painting, or other creative outlets and sharing their Dot Day inspiration with others. What started as a story in the pages of a book is transforming teaching and learning around the world as people of all ages with just a little bit of bravery and encouragement re-discover the power and potential of creativity in all they do. You can join the celebration! Host a reading of The Dot, throw a creative dot-making event, plan a week-long series of activities or even a year-long theme – the possibilities are endless! We have a classroom guide to get you started with some simple ideas to help you celebrate creativity in your classroom or library. Find the guide here. You can also find other great ideas by visiting the gallery on www.thedotclub.org. We can’t wait to hear about your International Dot Day event in your classroom or library. Keep us updated by sharing any news, photos and art with us via Twitter @WalkerBooksUK using #DotDay and #Makeyourmark. Follow Dot Day on Twitter and visit the Dot Day Facebook page. Growing up, I had four older brothers. Later I had one younger one. And later still I had two step-brothers. And a couple of sisters and a step-sister, too. My eldest brother, David, used to tell me bedtime stories – folk tales and fairy tales, mainly. And then I’d lie in bed, imagining myself in the stories. I was always the lead character. It didn’t matter if it was a girl or a boy. Red Riding Hood, The Sleeping Beauty, Goldilocks – it was me, always me. So when it came to Cinderella, I was the one with the bossy brothers, as I had in real life. 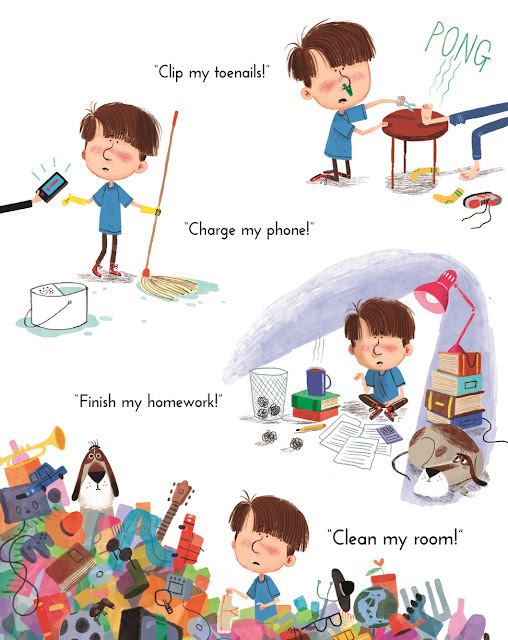 And, as I grew up, I was the one who had to do jobs round the house. Well, some of them, anyway. Like polish everyone’s shoes on a Saturday evening, so we’d all be spick and span for church the following morning. And so, over 50 years later, I got round to writing down the story. In my first draft, Cinderfella lived with two sisters, Sybil and Slob. 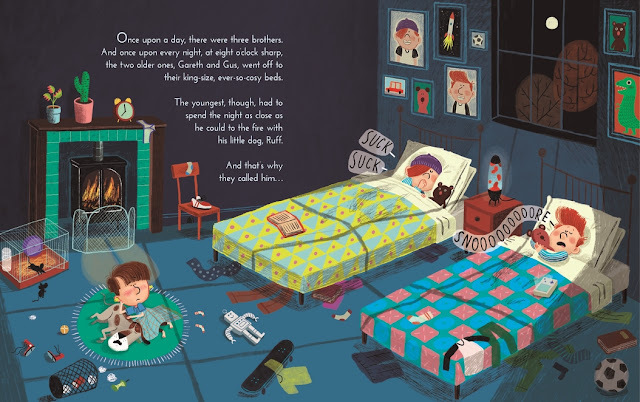 But the boys in my family were much more slobby than the girls, so boys they became – Gareth and Gus. At first the fairy who helps him was a giant rat, but somehow he turned into a funky dancing dog. And then a female funky dancing dog - well, if we’re playing with gender reversal, why not go the whole hog? And it makes for a good line on the back-cover about his ‘fairy dog-mother’, courtesy of my clever-clogs editor, Tanya. At first Cinderfella zoomed off to the party on a Harley Davidson, but somehow it became a super-sparkly skateboard. Somewhat safer! At first Cinderfella took on the role of a DJ at the party, spinning the discs and saving the night when the booked DJ didn’t turn up, but somehow it was his hop, bop, giggle and groovy dancing that took over. 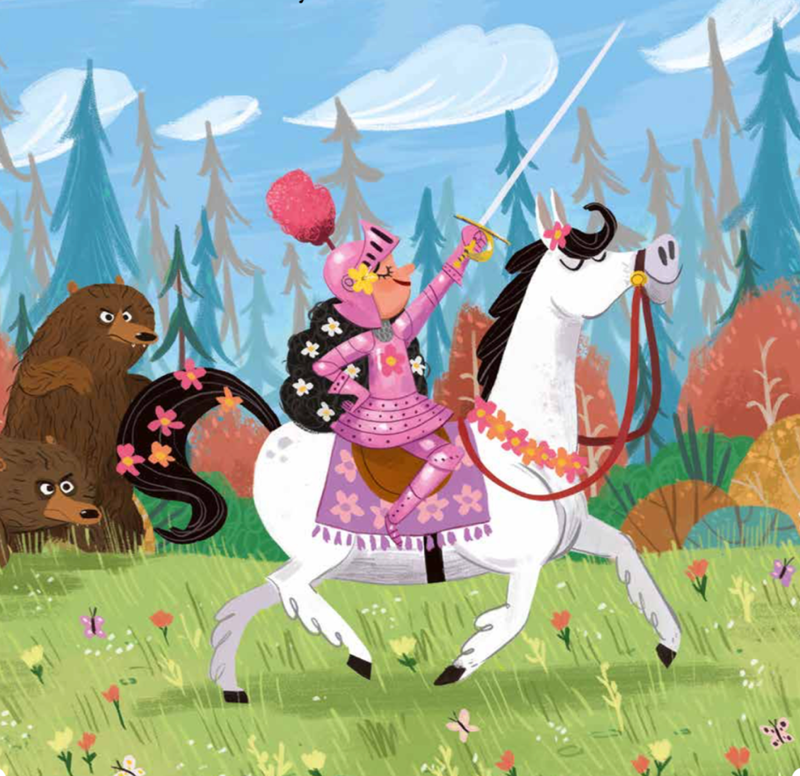 At first it was Princess PeachieBlossom’s party, but somehow she turned into Kayleigh, the junior karate champ. Much more fun! 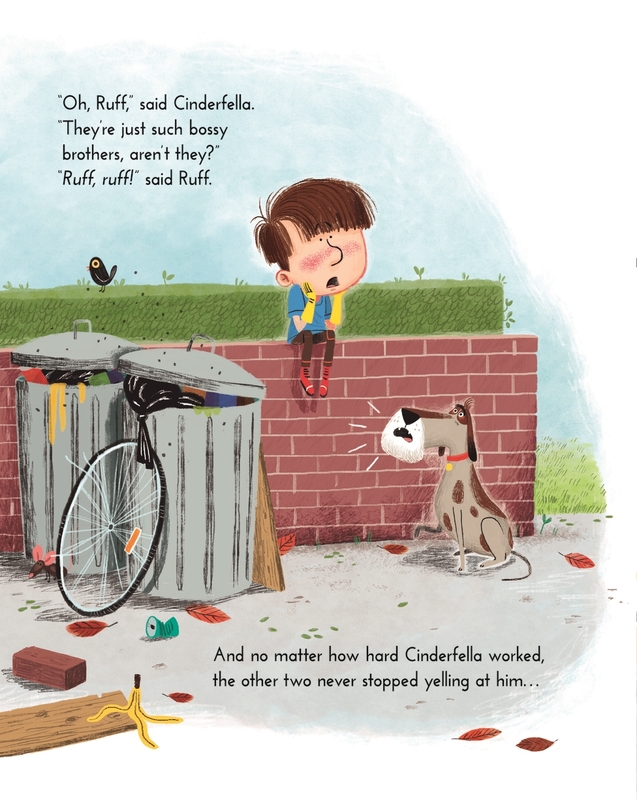 Then over to Matt Hunt for some fab illustrations and there we had it – Cinderfella. HAI-YAH! 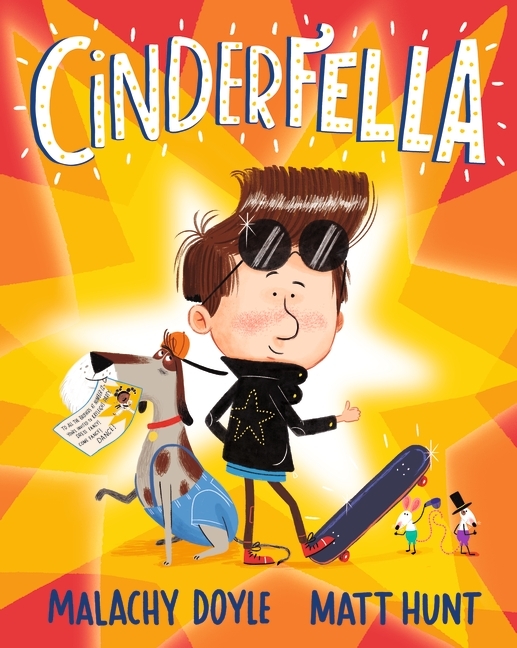 You can pick up a copy of Cinderfella at your local bookshop. As of this year, both of my daughters are teenagers (help!). But when they were a bit smaller, I liked to try to tell them stories. I say 'try', partly because making up proper stories on the fly was harder than I'd realised, but mostly because trying to tell my daughters anything was (and still is) nearly impossible. 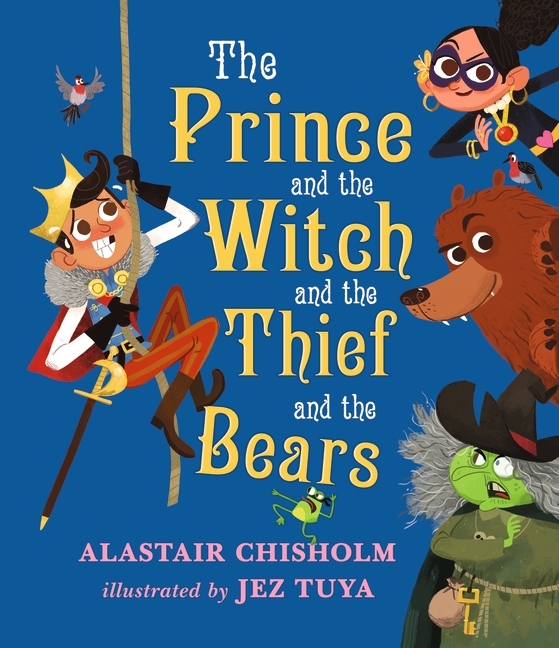 Like Jamie, the central character in The Prince and the Witch and the Thief and the Bears, they had Questions and Opinions. "The Prince," I would begin, feeling very pleased with myself, "lived in a far-off kingdom, where he— "
How far off is the kingdom? they'd demand. How fierce are the bears? How did the horse get down the cliff? Why is it even a prince, why not a princess? Why was the witch so angry? Why is it always stone that people get turned into – why can’t it be jelly? Can't the horse help? At first, the book was just about that – all the questions and interruptions getting in the way of the story. 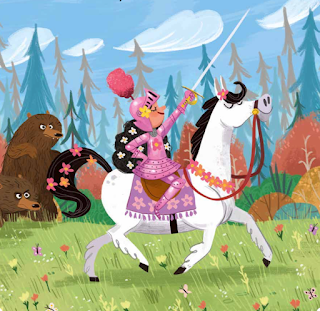 (In fact, the original title was The Interrupted Prince, and it included a scene where they had to stop to look for Ollie the Sheep, plus a break in the middle because Jamie needed a wee). But gradually, like the Dad, I started to understand – the story was actually better when Jamie told it. The truth is, kids understand stories better than grown-ups. Their world is made of stories, after all; it's how they start to make sense of it all. (And if you're lucky, they'll keep that spark for their whole lives). And so … It turned out the kingdom was very far off, and that became part of the tale. And the witch actually had a pretty good reason to be angry, really. 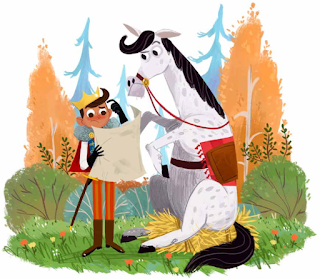 And hey, it should be the Princess who saved the day – and of course the horse could help! As Jamie and Dad discover, the best part of telling stories to kids is telling stories with them, and the best part of that is just listening as they tell you what the world is. Also, the witch is a ninja and lives in a castle made of broccoli. Just saying. 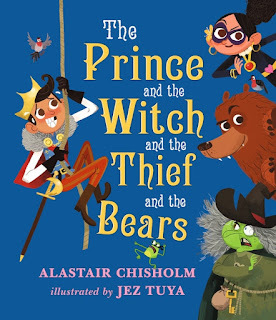 Pick up a copy of The Prince and the Witch and the Thief and the Bears at your local bookshop.